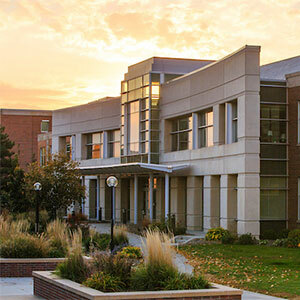 The School of Criminology and Criminal Justice is a nationally recognized leader in criminological research. Faculty and students are actively engaged in research on a wide variety of issues pertaining to the causes of crime and the criminal justice response to crime. Faculty within the school are highly successful in securing external funding to support their research, developing research collaborations within the University of Nebraska system, and partnering with community stakeholders to address specific research priorities. Specific information about each faculty member's research interests and a recent curriculum vitae detailing his/her research activities can be found by clicking on the relevant faculty member's name below. 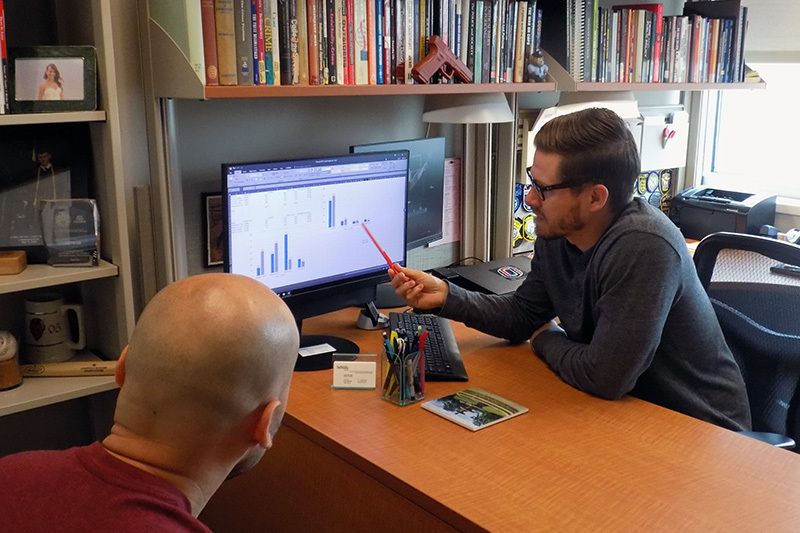 Justin Nix, Ph.D. (right) goes over results of a policing study he conducted with doctoral student Brandon Tregle (left).